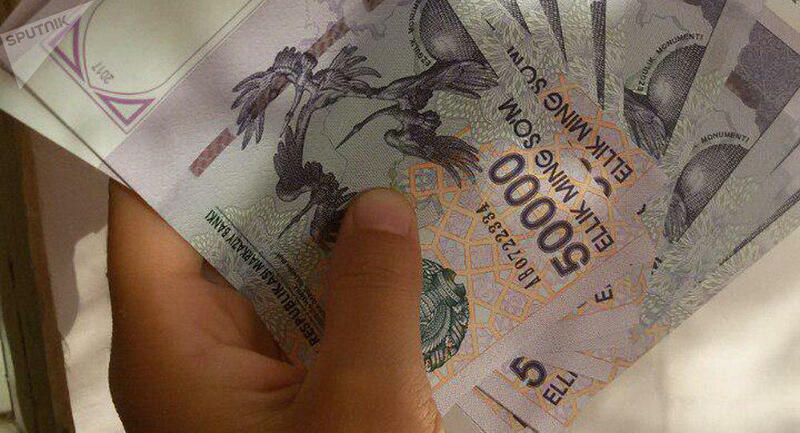 The Central Bank of Uzbekistan is considering to introduce new banknotes with a larger nominal value, the press service of the regulator said in a message. The bank stated that it is planned to continue work on optimizing the structure of banknotes in circulation within the framework of tasks to improve cash circulation. "To ensure more convenience of using the national currency, the issue of releasing a banknote with a larger nominal value and the gradual replacement of small bills with new-value coins of 50, 100, 500 soums nominal value, as well as releasing a coin with a nominal value of 200 soums, is being considered," the report says. Since August 22, 2017, the Central Bank issues banknotes in nominal value of 50,000 soums. So far this is the largest banknote in the country. According to the Central Bank, this was not due to inflation, but it became necessary due to the growth of the average wage in the country.